Perforated 14, watermark 1 (Crown & CC), typographed. 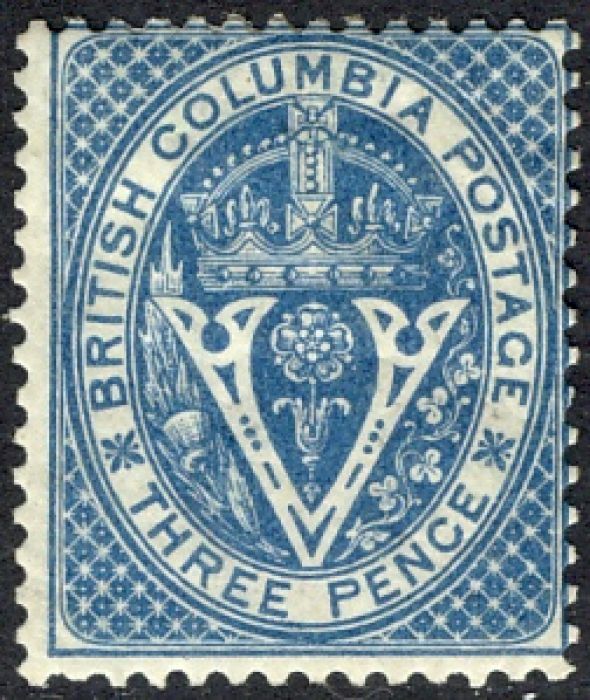 The stamps of British Columbia & Vancouver Island are few and complicated. They are summarised here. Please also see the overview of Canada page for more on Canada as a whole.